This book tells exactly what the title says - it's a history of zoos. Organized by date, Krull details changes zoos have undergone through the ages. Spotlighting origins of zoos all over the world, students will have a geography and history lesson in one! * Egyptian Pharaoh-Queen Hatshepsut used exotic animals to make her appear mightier. * countries have sent each other animals native to their lands as friendly gestures. * present day Mexico City had the largest zoo of its time... in the 1500s! And it's still one of the largest in world history! * the National Zoo in D.C. was the first to proclaim a goal to protect animals of extinction. * there was a zoo in Germany that used moats, artificial rocks, trees and hedges to keep animals away from patrons - no cages! One of my favorite parts of this book is the gorgeous illustrations by Marcelius Hall. Done in calliacrylic in k and watercolor paint on watercolor paper, the illustrations are detailed, yet calming to look at. Animal enthusiasts will devour this book! * I've read this in another professional book as well, and I think it's a point that we need to remember. So often we talk about the different genres, but how often do we go into explicit detail and make sure students not only know the differences between the genres but also how to APPROACH reading a genre. When I sit down to read a ___ book, I know certain things are going to happen. Once we've taught students characteristics of a genre, what to expect when reading one, then give students choices of books to read from that genre. Of course, do some read alouds to have class discussions, especially when modeling, but give students choices to independently read. They need to have time to play with, apply and problem solve what they have learned. They also determine what genres they prefer and why. * "We must push ourselves to read widely in order to best serve our students - as role models who read for diverse purposes and reading advisors who know a lot about books that appeal to all types of readers. The more widely we read, the more expertise we offer to our students." pg. 167 I love this quote. I feel like it is important, but it's not necessarily everyone's belief. * I think this is a great question to ask yourself in regards to students who reread the same books over and over: "Students reread books for three main reasons: they want to absorb a treasured story into their skin, they want to cement their knowledge of topics and ideas, or they don't know what else to read." pg. 175 Only one of them need help switching to a new book. * This is a powerful statement, "When we tell students they can't reread a book they love, we put our goals in front of theirs." pg. 176 Ouch, I know I've stopped many a reader from doing this! * Something that is not typically assessed is reading habits, specifically engagement with reading. I love these two questions: Does the student "fall" into their reading? Is the student fully invested when they have time to read? Takeaways for students, when they ask "Why do I need to read more?" * Readers who know their reading preferences can use that knowledge of that genre to select other texts. I can't wait until next week for our official Twitter chat with Donalyn! I'm looking forward to continuing the conversation by reading your thoughts. Thanks for the post! Your comment about rereading.. "When we tell students they can't reread a book they love, we put our goals in front of theirs." pg. 176...hits home for me. My son is a wild reader but even more a rereader. I have found that sometimes he rereads so he can be prepared for the social act of reading. For example, when the movie of a book comes out, he rereads so he can talk and compare the two. Have you heard this quote.."Tell me what you read and I’ll tell you who you are is true enough, but I’d know you better if you told me what you reread." ~Francois Mauriac Thanks for giving me more to think about! Michelle - I have been wanting to read What's New? The Zoo! Thanks for sharing your thoughts on it. I'm going to check out Krull's new book. 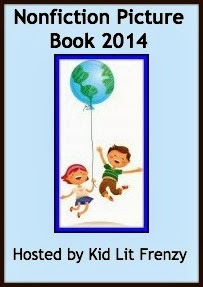 I am unfamiliar with this one, but knowing that it's written by Kathleen Krull, I'm sure it's great! Thanks for the recommendation. Krull has definitely stood out for me. I can't wait to read this! Great reflections, thanks! I am also interested in checking out the zoo book - what a great companion to reading "The One and Only Ivan." I really appreciate your point about helping students understand how to READ certain genres. I think, as an adult reader, this is something we have often come to understand on our own, and making it explicit for students could help them tremendously. Thanks! You said in your introduction: "So often it jogs my memory of a thought I had but had forgotten. Or it makes me think of new possibilities that I hadn't come up with." I think that is the whole point when it comes to literature circles and class book clubs. I don't think this happens as often with novel studies. Novel studies are too often just a way for the teacher to get his/her point across. Tracy commented that her son is a social reader who likes to re-read a book before a movie comes out I am the opposite! I don't want a reminder of the bits the movie will leave out. My niece, however, always re-reads before the book comes out so she can compare. Funny how all of us have our own preferences! I have to remind myself to respect the preferences of my students. Thanks for sharing your thoughts about Reading in the Wild. We completely agree about the importance of teaching students about genre. We think genre is a cueing system that readers overlook.. When we watch students begin reading a new text we notice that they think about what they know about the topic or the author but don't really think about the genre. It is so important that readers think about how genre impacts their comprehension. A history of zoos sounds like fun. Thanks! 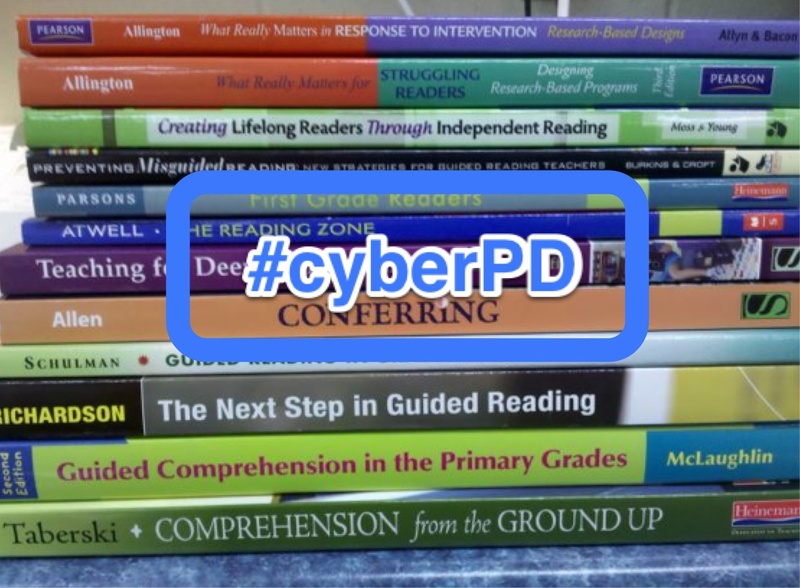 Thanks so much for sharing your thoughts and participating in #cyberPD! Your insights have continually pushed my thinking forward and I'm thrilled we have connected as our roles are similar in our schools. You bring up a great reminder about going beyond just "labeling" the genre, but talking about how to read different genres. I know that I attack text differently depending on the genre, but we also need to be explicit with your students about that too! I pulled the same quote on p.167 about teachers reading widely to be reading advisors to serve all the reading needs ... so important. I know that I have failed in this area, as I have stuck with my preferences of reading. Time to read outside of my comfort zone! I'm excited about all these conversations and look forward to how all these new wild reading ideas shape our classrooms in the fall! Your post really puts readers first. Everything from the way we see our role, to moving toward new genres, to allowing students to put their goals first, puts the focus on the reader.